Colorado arenas and stadiums can house thousands of guests at any given time. Focusing on optimizing guest experience and providing top-of-the-line safety measures is pertinent for any arena or stadium. Whether you’re looking to save money on energy costs or find creative ways to promote upcoming events, we’ve got you covered. Specialty security films, bomb blast films and ballistic-resistant films, are always a great investment for optimal safety. These specialty films incorporate multiple layers of security film with an attachment system and glass strengthening agent. Installing bomb blast film or ballistic-resistant film provides extensive coverage for your property against high impact events including explosions, gunfire, natural disasters, and much more. Learn more about bomb blast window film. 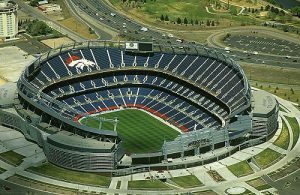 UV rays can cause irreversible damage to expensive equipment, seating, and other valuables within your Colorado stadium or arena. Protect staff, performers, and guests additionally by installing UV blocking window film. 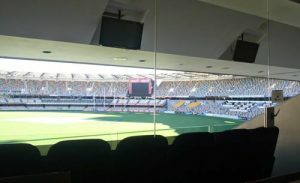 High running costs are virtually impossible to stray away from when running any arena or stadium. Energy efficient window film helps property owners save dramatically on energy bills, providing the financial relief that’s highly desired. This innovative solution also improves guest and performer experience. 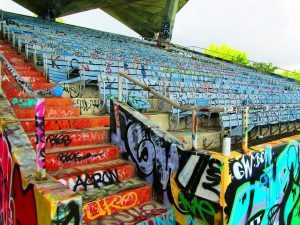 Graffiti and vandalism tend to happen more within properties that house high volumes of guests. Protect costly surfaces from etching, scratching, graffiti, and more with anti-graffiti film. 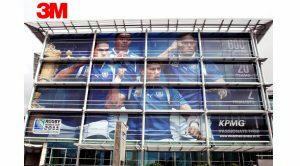 These films can be custom-printed to match any smooth, nonporous existing surface that’s prone to vandalism. Learn more about anti-graffiti window film. From large exterior building wraps to interior promotional films, decorative window films promote endless opportunities for Colorado arenas and stadiums. Great for both short-term and long-term campaigns, these versatile, highly customizable films provide HD eye-catching graphics. Exterior privacy tinting always improves comfort and functionality while optimizing aesthetics for your property. Enhance your Colorado stadium or arena with modernizing reflective tint while providing the privacy your guests enjoy. 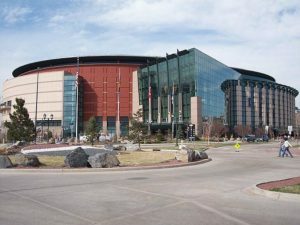 For more information on window film applications for your Colorado arena or stadium, contact us today!